Recently five lucky people won a luxury weekend in the South of France. If that wasn’t enough, they were sent off to drive and review the New Citroën DS5 before its UK launch. Pretty exciting for auto-mobile fanatics but not quite as exciting as what happened at the end of the weekend. After driving the very latest DS before its release, they were then taken back in time to the beautiful first series of DS. Thanks to Citroën and some very caring drivers/collectors the group of reviewers were shown a collection of 1955 DS models. These are the cars (designed by Italian sculptor Flaminio Bertoni and French aeronautical engineer André Lefèbvre) which changed how the world viewed cars. The Philosopher Roland Barthes claimed they looked as though they had “fallen out of the sky” and compared them to Gothic Cathedrals. If you want to have a look at these wonderful classic cars and the reactions they produce then watch the video below. 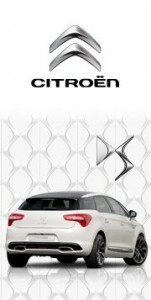 Plus if you choose your favourite DS5 review you too could be enjoying a 5 star break.